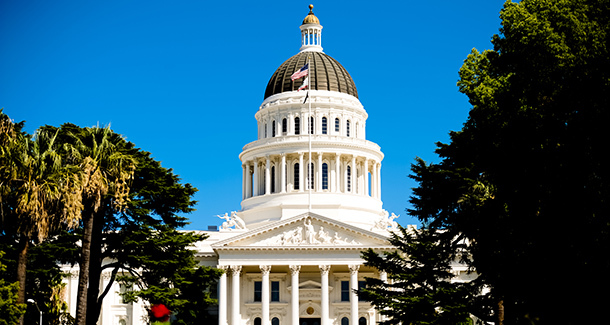 The California Fair Political Practices Commission (FPPC), in partnership with the University of California and California Forward, has announced a project to update California’s venerable Political Reform Act (PRA). The Political Reform Act was passed in 1974 as a response to the Watergate scandal and was hailed as a landmark law that cemented California’s reputation as a national leader in regulating campaign finance and government ethics. It has been amended and expanded many times in the years since. "It's fair to say that over the years the PRA review process - like more than a few things in government - has accumulated redundancies and complications, which don't serve the vital original intentions of the law," said Pete Peterson, dean of the Pepperdine University School of Public Policy. "It’s refreshing to see this good work by the FPPC and CA Fwd to clear away some of these barnacles in the interest of making the law easy to understand and follow." The project will include two rounds of public participation over the course of several months, to ensure what the FPPC plans to be an inclusive and transparent process. "While we have some of the toughest rules in the country for public officials and elected officials, the unintended consequence of those changes is a body of law that can be considered overly complex, cumbersome and, sometimes, inconsistent," said Jodi Remke, FPPC Chair. "This process is designed to simplify and streamline the act without weakening it or losing any accountability." A webinar is scheduled for Thursday July 14 at 10 a.m. with Chair Remke and California Forward President & CEO Jim Mayer to discuss the work. Individuals interested in participating or learning more about the project can sign up at cafwd.org/PRAtalk. The FPPC administers and enforces the law – consisting of ethics, campaign finance and lobbying reporting – as well as assisting public officials, employees and candidates to comply with its provisions. It plans to use the significant public input it receives to prepare revisions to the law, submitting it for consideration by the Legislature in early 2017. "Modernizing the act in plain English will mean there’ll be fewer technical violations and we can focus our efforts on the more substantive violations," said Galena West, chief of enforcement for the FPPC. "It will be a great benefit and will let us focus our resources where they need to be." The issue of technical violations is critical. The FPPC estimates that it receives up to 20,000 requests every year for technical and legal advice from candidates, elected officials and public officials regarding complying with the law. "We are hoping for extensive contribution from those affected by the law, including filing officers, political attorneys, public officials and candidates and other good government groups interested in this issue," Remke added. Law students from the UC Berkeley and UC Davis have completed a review of the law and documented issues, options and recommendations which the FPPC staff will include as it evolves the revisions. California Forward will lead a targeted and strategic communications campaign to encourage participation in two rounds of public comment in the coming months. "We think through this process we will end up with a cleaner law that is easier to comply with and to enforce," said CA Fwd’s Jim Mayer. "We will all benefit from an ethics law that is smart, modern and understandable." The Political Reform Act Revision Project is supported by a grant from The James Irvine Foundation.